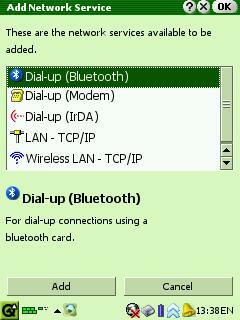 A set of plugins for the Network Settings application and taskbar applet. Make sure to have Bluez BT drivers installed and configured. See http://tumnus.zaurii.net/ for details. 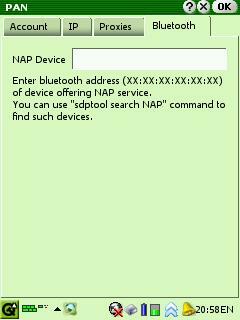 Applets don't work with affix bluetooth drivers. 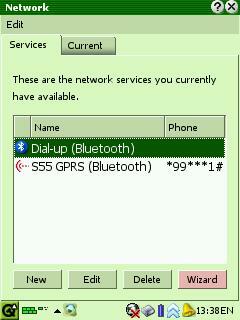 Sudo package for Sharp ROM 3.10 can be downloaded here. 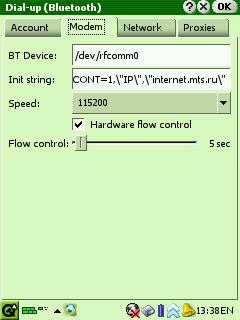 Many thanks to Ron Murray who has updated the bt950_cs driver to initialze UART at higher speed. This driver only works with Ambicom/Pretec BT2000E CF cards. It does not work with BT2000C cards. I hope the new driver will eventualy be included in the Tumnus Bluez drivers package. Meanwhile installation packages are provided. 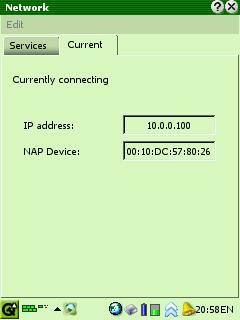 Fully integrates into the network applet - i.e. Opera and Mail application are aware of the PAN connection! 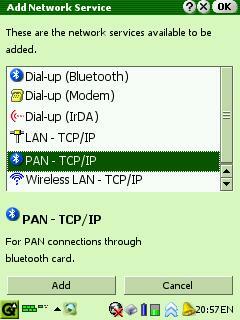 Make sure to activate and set up server side PAN profile. Windows users can find some usefull info here.